Edwards Lab does Science Outreach! 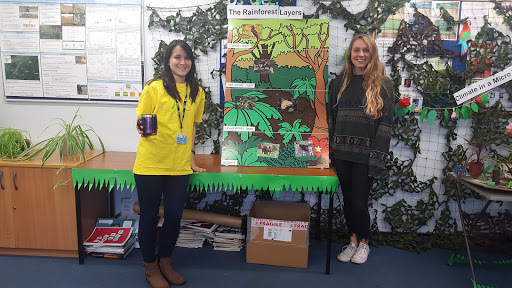 The Edwards Lab got involved with some Science Outreach last week! 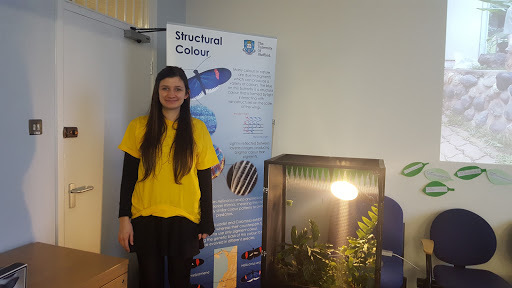 We took part in the annual Discovery Night event (10th March) at The University of Sheffield as part of the Sheffield Festival of Science and Engineering (https://www.sheffield.ac.uk/discoverynight). 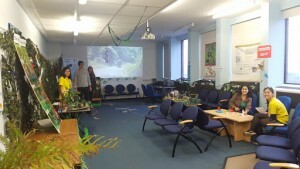 We organised a tropical forest exhibit that included activities for the whole family to learn about the unique features of the tropical rainforest, the extraordinary creatures that live there and the current threats to these beautiful forests. 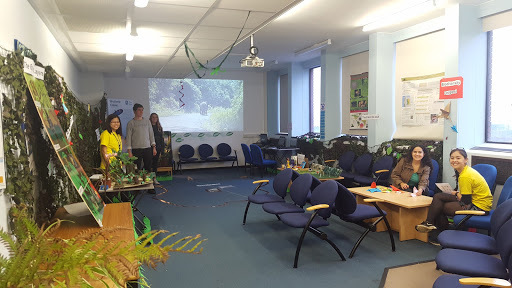 The Nadeau lab joined us and brought live tropical butterflies to the exhibit too! 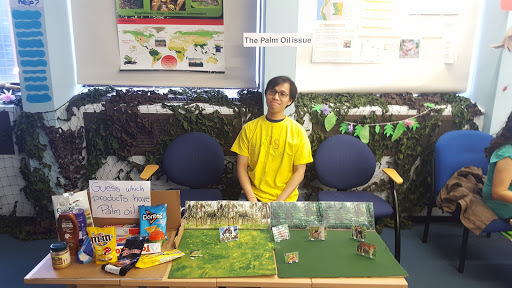 We got to share our current research on tropical forests and provide tips on what the public can do at home to help save these important habitats. The event was packed full of families interested in what scientists have been up to and thoroughly enjoyed the event. 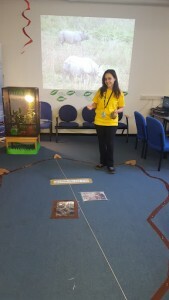 Our first outreach event as a lab was a success and all round a great experience! Cindy and Beth with their forest layer game. 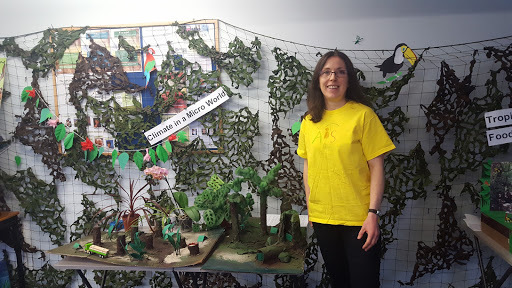 Tamora ready to talk about the microclimate of a forest. 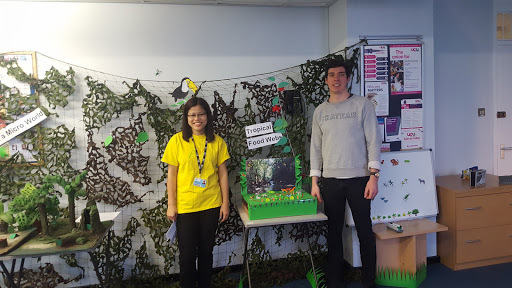 Joli and Patrick teaching about tropical food webs. 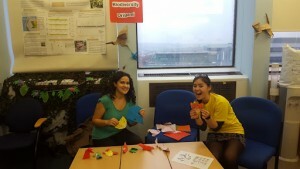 Ileana and Katie doing origami of tropical animals! Manoela with her recreation of the size of an Amazonian tree base. 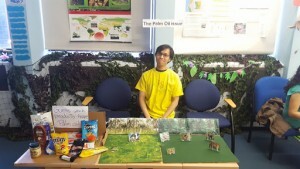 Felix with his activity about the palm oil issue. Emma from the Nadeau Lab with their tropical butterflies! 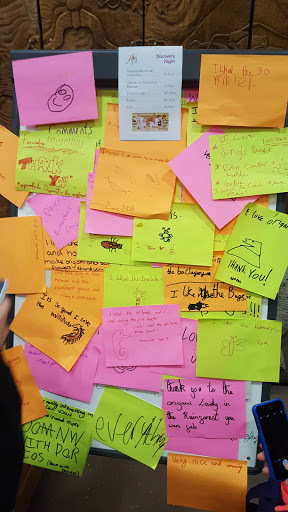 Lots of good feedback about Discovery Night! This entry was posted in Uncategorized on March 17, 2017 by Cindy Cosset.